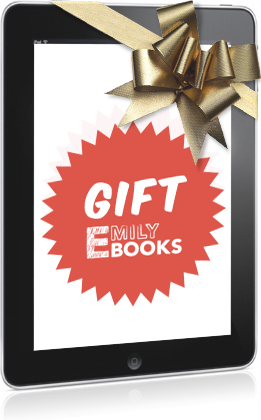 Give the gift of Emily Books! Delight the reader in your life with the ebook of her choice. It’s the perfect gift for someone who’s always talking about how she needs something new and exciting to read. Or really anyone who loves cool books.